As a person with high functioning autism, Temple is an autism icon worldwide, noted for her work in autism advocacy who invented the squeeze machine designed to calm hypersensitive people. Grandin is also a doctor of animal science and professor at Colorado State University, bestselling author, and consultant to the livestock industry on animal behavior. Temple Grandin will be gracing, via an interactive online presentation, Autism Society Philippines’ 12th National and 2nd Southeast Asian Autism Conference on April 28-29. It will be the first time for Temple Grandin to face, albeit via online, a Philippine conference. 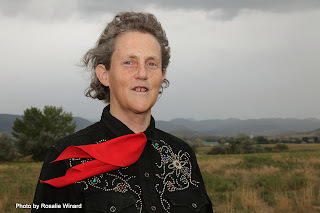 In August last year, HBO Asia showed the Emmy-award winning biopic “Temple Grandin”. Angels Talk looked for a “Pinay Temple Grandin” for a movie review. 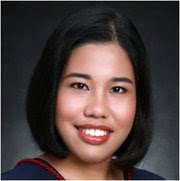 We found Maria Angela “Yanna” Aragon, 21, currently working as a subcontractor coordinator at IBM Global Process Services. For this week’s Angels Talk, we asked Yanna to interview Temple Grandin online, while sharing her own story. I’ve watched your biopic Temple Grandin and read your book ‘Thinking in Pictures’, and— as you, your mother, and your aunt are the only individuals in your family given focus — I’ve always wondered how was your relationship with your father or siblings, if you have any? I had three siblings. Having an older weird sister in the same school was difficult for my sister who was close to my age. When my family found out I was special, initially it came as a surprise. Dad wanted to stop working and just take up Special Studies at UP so he can better assist. Mom practically blamed herself. She thought that maybe she didn’t take care of me while I was still in her tummy. How did your family react when they found out about your being autistic, especially after you were diagnosed? My father had difficulty accepting an autistic child. Mother was my supporter and protector. I get along really well with my siblings and see them every Christmas. We live at opposite ends of the country. They say most persons with autism are averse to physical affection. My mom said when my sister and I were still young, we were both very close to our yaya (nanny). It was hard to take us away from her. Every chance my parents get, they would carry me. Eventually, I began to get used to, even like, the feeling of being hugged, kissed, etc--thanks to family and most of my friends. However, there were times that I’d still feel uncomfortable with giving and receiving physical contact (e.g. when coming from people who are too touchy-feely, from strangers) How were you able to display affection towards members of your family? Temple: All the answers to this question are in my book “Thinking in Pictures”. I usually explain to people that children with autism are special. They are affectionate in their own way but they need a greater degree of understanding and patience. How can autism be explained to children, in a way that doesn’t lead to bullying or negative impressions? Autism is a broad spectrum ranging from geniuses such as Einstein to very severe. Mozart probably had mild autism. My parents said we didn’t have to explain autism much to our relatives. They knew I was special. But whenever I exhibited inappropriate behavior, my parents had to call my attention and later explain it to me a bit about behavioral issues. How did your parents explain autism to any young relatives you have? She explained that I had a brain handicap that was not visible like a wheelchair. What can you advise to families of those with autism, especially to those who either rely too much on institutions, or on themselves, in order to get them to work together to help the member with autism? Families need to get together to support each other and create local support groups. Parents need to support and counsel other parents. Aside from Temple Grandin, another autism self-advocate, Dr. Stephen Shore, will be online for the 12th National and 2nd Southeast Asian Conference on Autism, April 28-29, at Crowne Plaza. The conference, titled “Living with Autism (Hope@Home)” will also feature local autism experts like Dr. Alexis Reyes, and actual experiences of Filipino families. For more details, please email aspnc2012@gmail.com or follow us on Facebook.